I am fortunate to have several friends who are atheists and for all that they can be a bit rude about respecting my beliefs, they provide a welcome counter-agent to some of the more absurd aspects of spirituality. Being spiritual does not mean leaving your brains on the floor. It is never a good idea to follow someone -- even a God/dess -- blindly. Nor do you have to accept all practices as valid. Meditation may be perfectly useful way to calm the 'monkey brain' caused by so much media distraction in our (typical) daily lives, but practicing it does not mean you need to also attempt out of body experiences, yoga, finding the snake-people aliens among us, chakra cleansing, lucid dreaming, past-life regressions, or even mapping Atlantis. 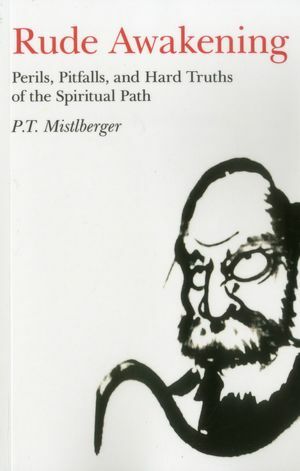 Mistlberger came of age during the wild and whacky new age movement of the 60s and he has no patience with the flaky aspects of self-transformation. On the contrary, he is a transpersonal therapist who believes, strongly, that it is exceedingly rare and difficult to truly succeed at positive self-transformation. It is not a matter, he argues, of resolving karmic debt or finding the key to crop circles. Mistlberger offers a persuasive argument that the artificial divisions we create (or are taught) between our normal lives and our spiritual ones are what is keeping us from reaching our true potential. He argues that we need to move beyond the 'popular' culture which keeps us unobservant and divided. He argues that we are 'built' to self-deceive and we are extremely good at creating distractions that increase our suffering. (These arguments feel very Buddhist to me, in that they agree that the world is a place of suffering, and to move beyond it requires achieving awareness.) In his opinion, most spiritual paths are full of crap that distracts and divides, actively pulling us away from spiritual fulfillment and the joy that accompanies communion with the Divine. This is not a book for a newcomer exploring his/her spirituality. It will feel too offensive, and perhaps even scary. However, for a person who has done some Work, gathered a taste of the Divine, and is looking to do more Work to achieve it again . . . Rude Awakening is a gift of honesty and clarity.